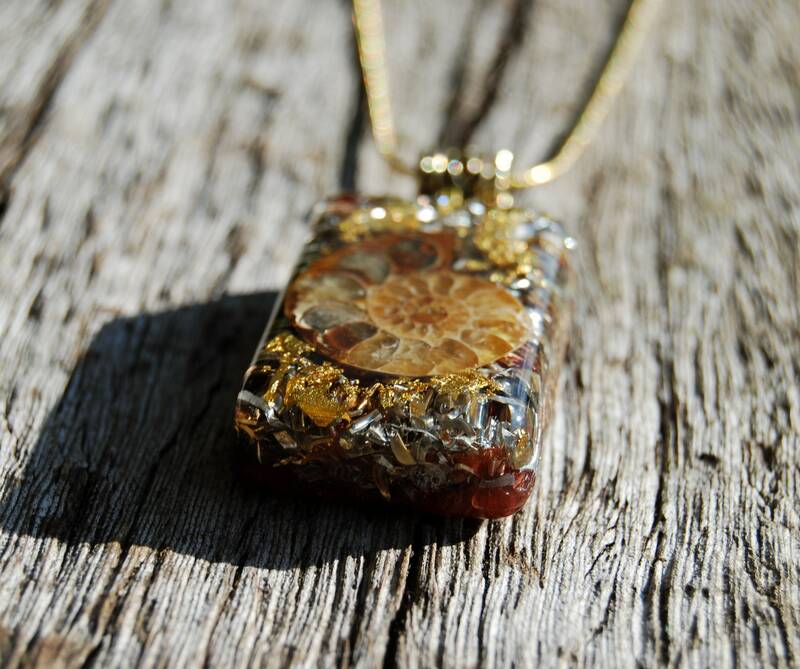 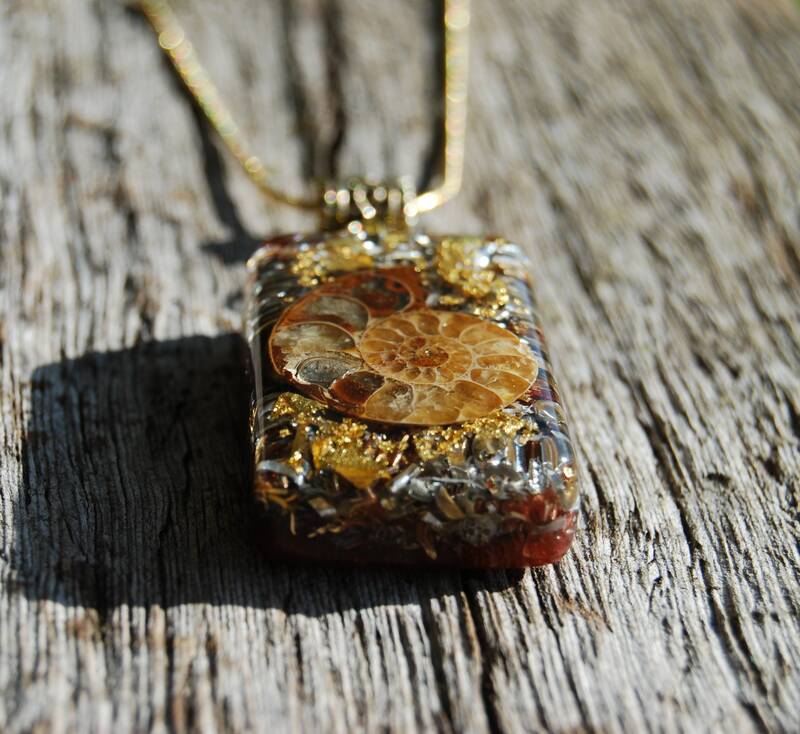 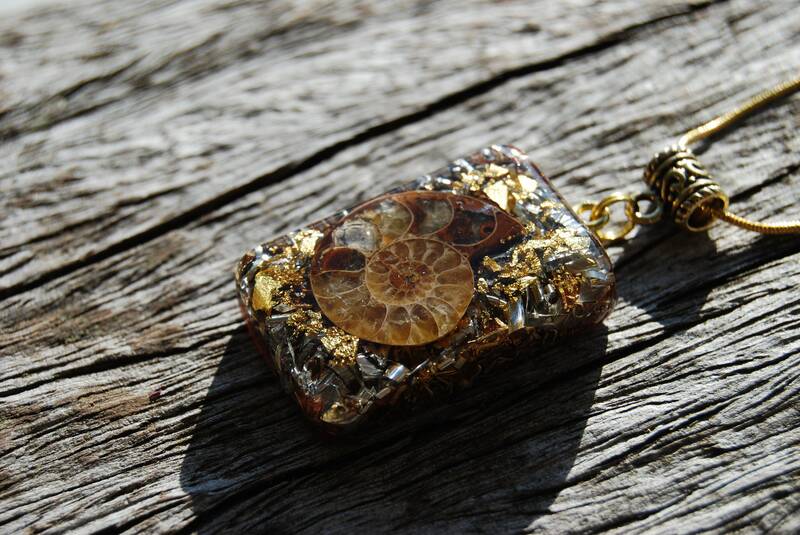 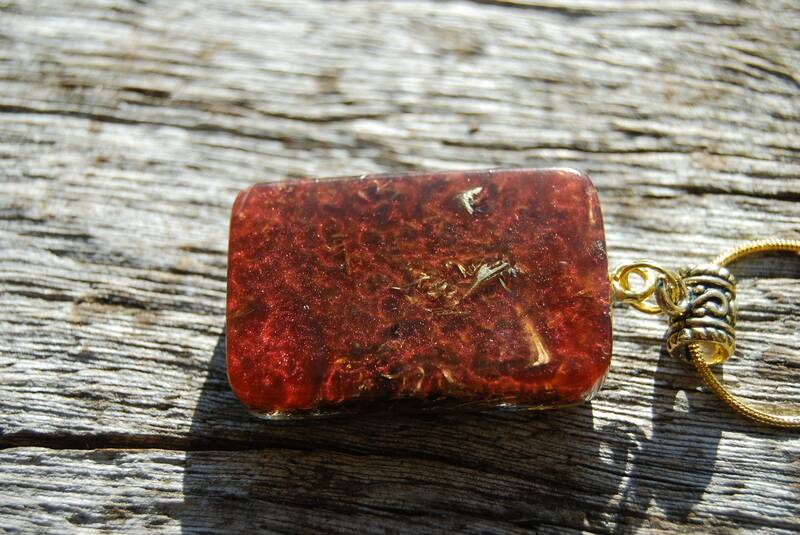 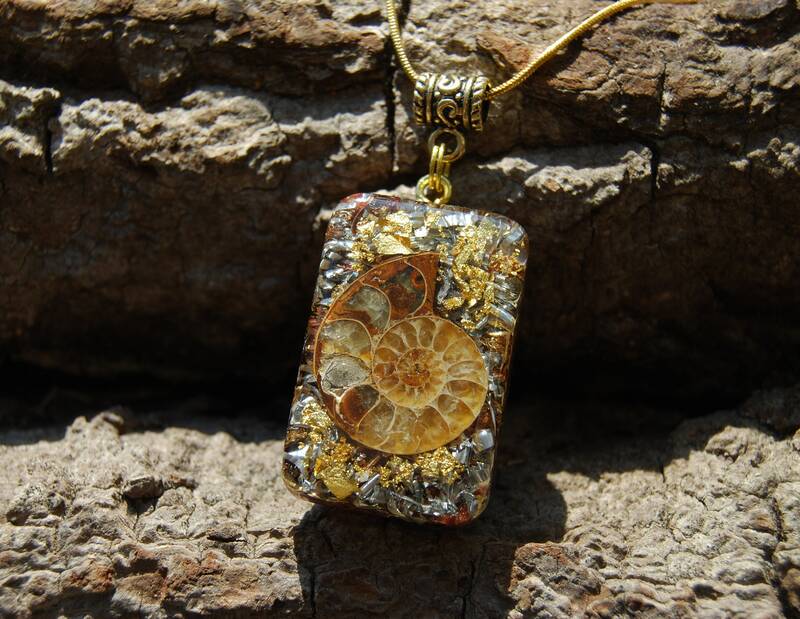 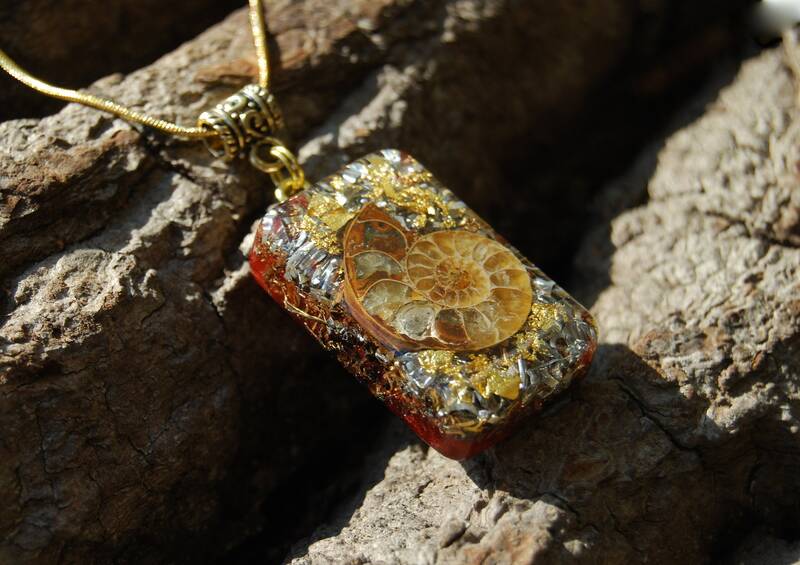 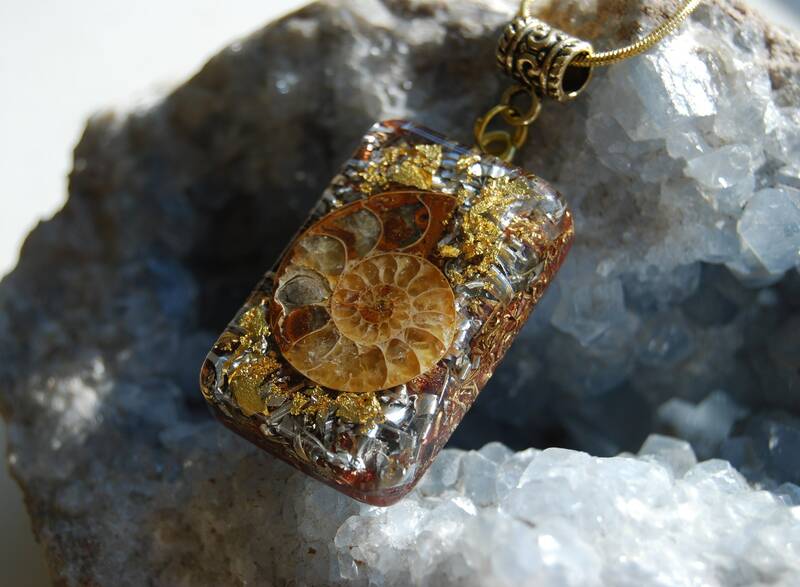 This unique Orgonite® pendant contains aluminium,bronze, brass and copper shavings, Ammonite Fossil in the front, Rhodizite (to amplify the other crystals), Pyrite (to enhance), black Tourmaline (to ground excess energy and for protection), Selenite (to clean and charge the other crystals) and clear quartz (for piezo electric effect) in a durable resin setting. 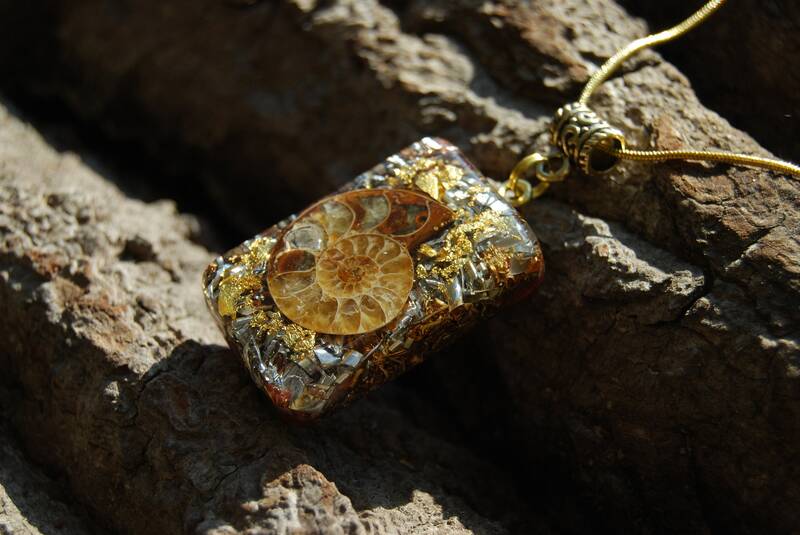 It comes on an 18K gold plated 20 inches / 52 cm necklace. 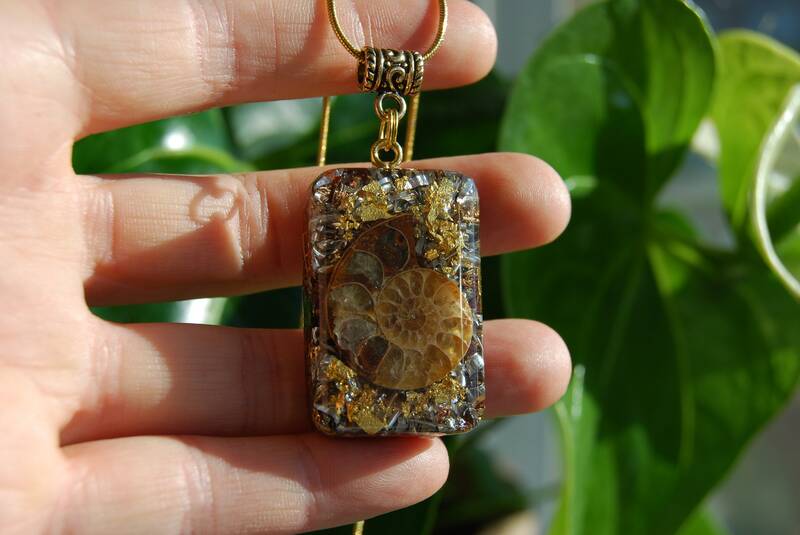 If you prefer a strong adjustable (up to 26 inches) 2 mm thick cotton cord, let me know in the comment section and Ill add this instead.